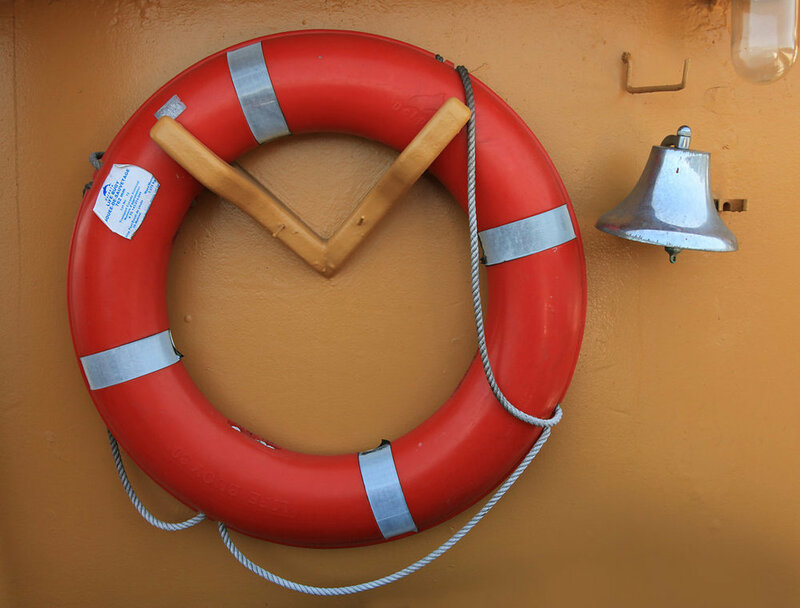 Experience a warm welcome aboard our restored 100' tug while we prepare a sumptuous Moroccan meal or plan to stay the night on our floating bed and breakfast. Join us for an exquisite Moroccan-French dinner, or stay the night on our 1944 converted tug boat, MV Songhee. Once a U.S. Navy minesweeper, the M.V. Songhee is now home to a bed and breakfast as well as a fully licensed floating restaurant. We can coordinate some of the best fishing in the world, kayaking, kite surfing, Stand up Paddle Board, scenic flights and ocean tours right from our doorstep. You can even try Yoga or Zumba. Hiking is amazing here and we would be happy to show you our trails. Come sleep right on top of the water with gentle swaying, 360 degree outstanding views. 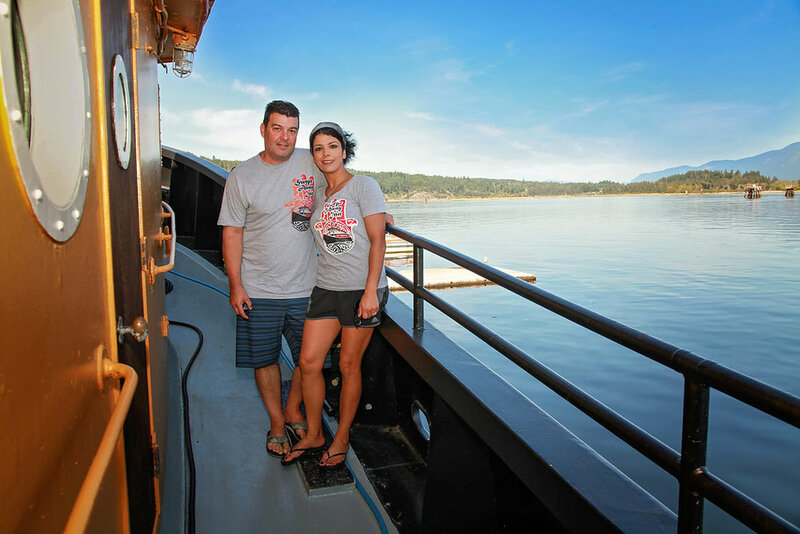 Enjoy our vintage 1944 tug boat with all the modern conveniences of home. A special place to relax and enjoy nature up front and personal. Each state room has 2 beds. Price is per room based on double occupancy including breakfast for two. "Our goal is to see the world through our guests." Daniel had a vision to restore the M.V. Songhee to a new glory - one of a floating inn. 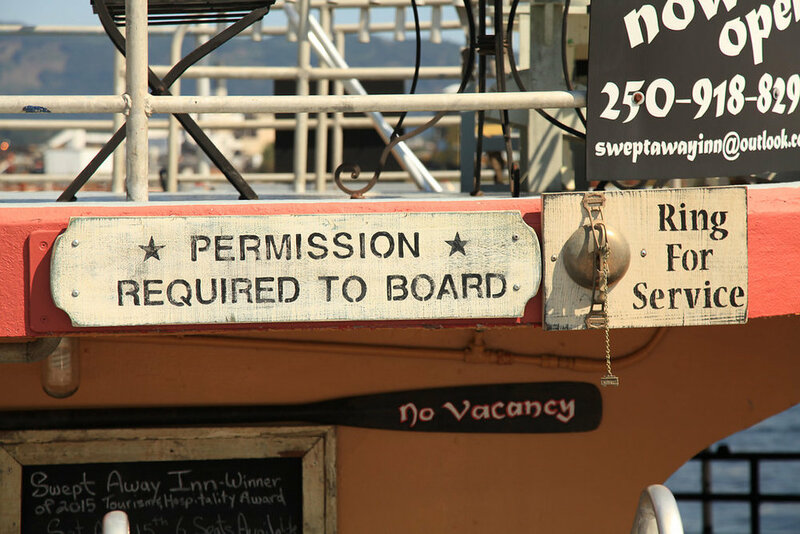 After purchasing the vessel from a fishing lodge, this one time navy ship saw a complete overhaul and the Swept Away Inn was opened in 2014. Daniel is our in house Pastry Chef. The time and effort have not gone unrewarded, as Swept Away has earned the "Super Host" designation from Airbnb, as well as community awards for their hospitality. Bouchra grew up in Morocco and learned to cook at her mother’s side. Her passion for "real, slow food" is apparent in each dish that is presented at her table. Bouchra believes in sourcing local, organic ingredients and takes the time to prepare her own combination of flavourful spices and uses the fermentation method. Word has spread both near and far as diners extol the virtues of Bouchra's cuisine. Images provided by Erica Watson of Stirling Images Photography.